In the beginning, there was one. One lady with a desire to share her love of dance with the people of Kansas City. After coordinating efforts with a local DJ at the well-known club , Ol’ School, De began to teach some of the more popular line dances of the day to local residents. As time went , De decided to “graduate” her students and a concept was born—the KC Coolers. The KC Cooler (KCC) organization went on to become a well known group in the city, and under the leadership of De Barker flourished in and out of KC’s city limits. From national events like the Tom Joyner Sky Show, to local events like grand openings of black-owned venues and city celebrations—no worthy event went unnoticed and untouched by the line dance flavor of De Barker. All thing must change, and all good things must grow. In 2007, De Barker and her group The DeUnyt left the KCC to stand on their own. The DeUnyt is proud to be one of the premier acts to expand from the ranks of the KC Cooler organization, and continues to promote the art of Line Dance and Two-Step not just in Kansas City, but everywhere we go. While joining a group may work for some, there are those who desired to “just dance”, and the IDWD Productions umbrella opened to cover all of De’s students and dance groups under one entity. In the manner, all types of events, all forms of clients, all manners of students could be served, and the love of dance can continue to be spread, wherever we are. It is in the realm of working with youth that IDWD Productions sets itself apart from all others. 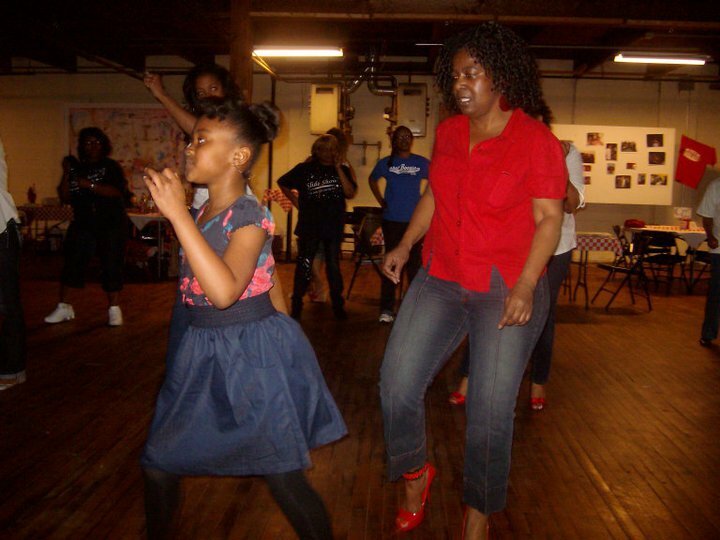 A strong desire to give back to the community drives De and her team of instructors to teach young people from age 5 on up the art of 2-Step and Line Dance. Group participants are also given the opportunity to perform in the group KydsUnyt, and have been seen all over the city, from dancing for the mayor of KC to choreographed performances at Kansas City Live! Atrium in the heart of the new Power & Light District. AND UNITY EXISTS BEYOND THE DANCE FLOOR! FROM ALL ACROSS THE COUNTRY!